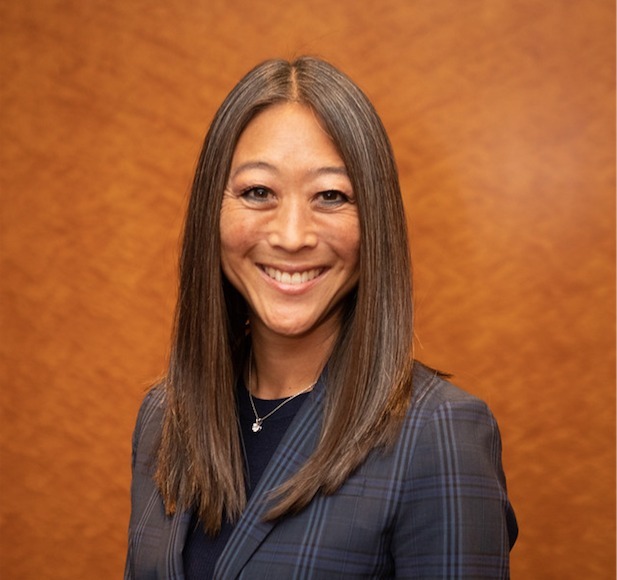 In this latest interview, we hear insights from industry expert, Michele Kajiwara, Senior Vice President of Premium Seating Sales at STAPLES Center for AEG; one of the largest entertainment groups on the planet, managing more than 120 of the world’s premier venues and playing host to the world’s greatest performers. Michele, can you start off by telling us a little bit about your background, your career journey to date and your standout achievements/moments? From the day I started working, I never really thought about developing a career – I simply pursued opportunities that complimented my lifestyle and allowed me to work in industries that I loved. I’ve taken the long and winding road to get where I am now, but the journey has been well worth it! After graduating college, I began working in L.A. as an Executive Assistant in the entertainment industry, I later moved to New York and started working at Chelsea Piers first in Public Relations, then transitioned to sales where I got my first real taste of a more aggressive, fast-paced, tough negotiating and highly competitive East Coast mentality. After 9-11, I moved back to California and began working at STAPLES Center as a Premium Service Manager, which laid the foundation for all the relationships, experience and future success within the company. I’ve been fortunate enough to grow within Premium, advance with the same company and stay in a market that has always been home for me. After sixteen years with STAPLES Center/AEG, I guess you could say I’ve finally developed a career and was fortunate enough to be recognised by my leaders and peers with some incredible moments. In 2018, I was honoured to receive the Chairman’s Award at our company Summit in London, attended by our senior staff from around the world, and presented with very heartfelt remarks by our Chief Revenue Officer, Todd Goldstein. I also had the great privilege of having the President of STAPLES Center deliver an incredible introduction speech for me when I received the Women of Inspiration award from the WISE organisation that I first had an affiliation with back in 90’s when I lived in NYC. I’ve been fortunate to celebrate epic revenues and successful milestones in the Premium space, but my greatest achievements come from seeing people that work with me thrive both personally and professionally and hope that perhaps in some small way I was able to contribute to that. 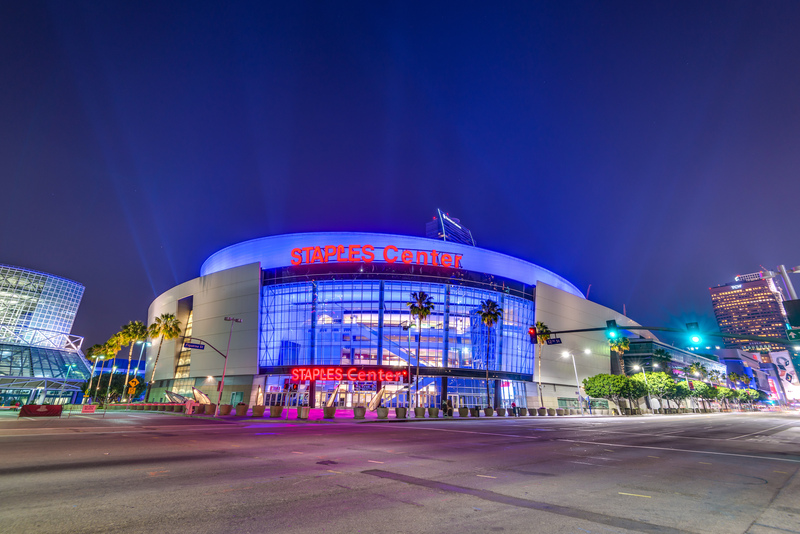 Can you tell us about the main objectives/drivers in your role at STAPLES Center for AEG and how you ensure delivery? Outside of revenue and budgets, creating a dynamic culture and investing in people is one of my key focuses. I try to nurture my staff to be the best versions of themselves, which is achieved by putting processes in place to create buy-in. We’ve brought in trainers, coaches and different resources to help them achieve their personal and professional goals. I also must manage expectations on the business side, with lots of partners on the premium level including: the NBA’s Los Angeles Lakers and Los Angeles Clippers, the WNBA’s Los Angeles Sparks, as well as the NHL’s Los Angeles Kings, clients, staff, vendors, sponsors, etc. Communicating with the teams, promoters and clients is also of paramount importance. To be effective, you must understand what your clients want, even if that means having to say that our value proposition is not right for them! It’s all about relationship-building and that can only be done through effective communication. 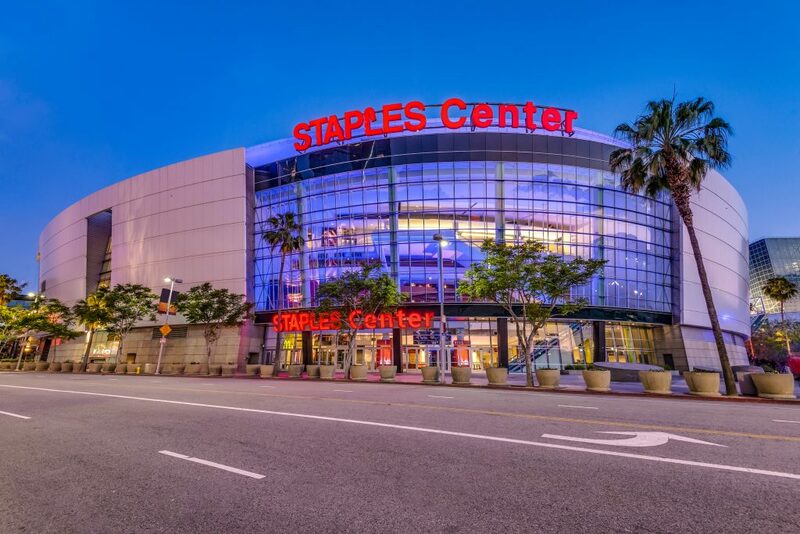 In terms of market presence, we have quite a unique situation, as Premium in STAPLES Center is a standalone department and not within a specific team. There are a lot of teams and venues in Los Angeles all competing against one another, however we’ve still been able to sell-out all suites, premier seats, and tables and lounges for the first time ever this year! We continue to push the envelope. Our goal-setting is different and individual. We definitely have the right team in place, as is reflected by the fact every single piece of premium inventory has sold out. But before LeBron actually signed on the dotted line, I had to have three parallel business proposals running to ensure we had the right plan in place for all possibilities. How do you overcome the challenges of the role and the sector in general? You need multiple plans of attack in place to be prepared for multiples outcomes. Our team has great cadence but being able to pivot and adjust to circumstances that can’t be anticipated is our strong suit. The market in L.A. is crowded, which is a good challenge, as it keeps us sharp and on the ball. Clients here have high expectations and the competition drives us to stay relevant. You have to accept you can’t always overcome all the challenges thrown at you but by staying innovative, making adjustments where possible, communicating with all parties effectively and staying positive in hard situations, you can usually chart a course for success. You were recently announced as the new President of the ALSD, congratulations. What does securing this role mean to you and what are your goals? Hopefully, I’ll bring a different energy and voice to the table and show creative ways of how we can do things, by casting a wider net, embracing the younger generation, being cognizant of tools, and other leaders from other industries. Collectively, we can make one another better as ongoing resource guides. I also believe we need to listen and create a conference that continues to provide networking opportunities and the chance to see new venues and how others approach challenges – I’d like to create a space for industry leaders to talk about growth and innovation through casual conversation. 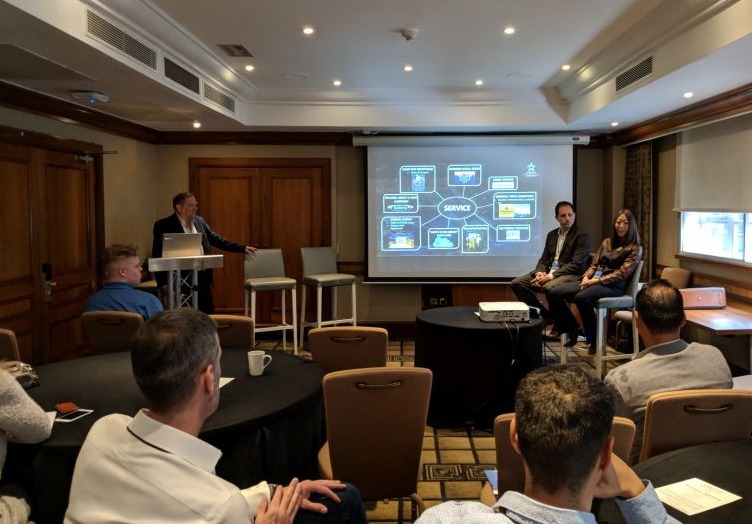 Finally, as a speaker at the inaugural ALSD International event in London last October, what would you say, if anything, did you learn from the European market and your counterparts? It was amazing! Europe has such different challenges, so it was interesting to hear key teachings and experiences. It was also great for networking and growing our brand on an international platform. I made real connections with executives from the likes of Wembley Stadium and The O2, which means I’m now part of a larger community. This inclusion not only amplifies our own brand, but also helps me in terms of mentoring, as I can now connect with colleagues in Europe. Hearing from different speakers from around the world on global products with the varying differences and challenges while creating cultural inclusions makes us all better prepared. We can learn by osmosis! Another highlight I enjoyed was seeing what’s going on in hospitality in the European market, which sparked many ideas I could bring home. Equally, learning from our partners at The O2 has proven helpful in developing our own staff and culture. Everything you see and hear from industry peers is adaptive and scalable, which means it’s important and relevant to your business, whether that’s in the U.S. or Europe, or indeed anywhere else on the planet. Huge thanks to Michele for taking the time out of her busy schedule to do this interview with us. We’re looking forward to hearing more insights from her at the ALSD Conference & Tradeshow in Chicago this June 30 to July 3, and again at ALSD International at Croke Park Stadium in Dublin, Ireland, this October 28-29.